Belfast Exposed are delighted to present the next artist in the Belfast Exposed Futures programme, Aisling McCoy. 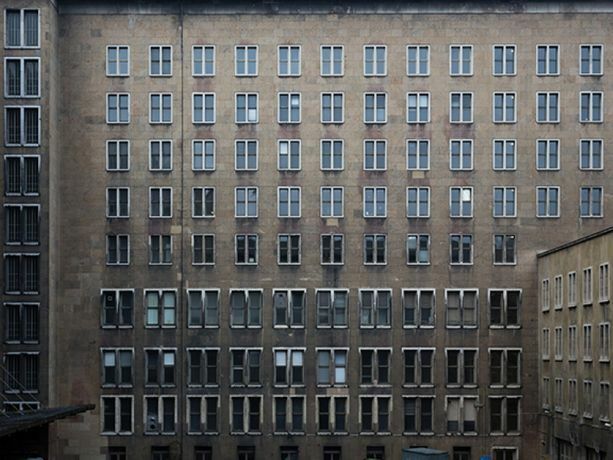 THF is a new project exploring the former Templehof airport in Berlin. The Nazi Air Ministry commissioned the building in 1936, envisioned by the regime as the ‘Gateway to Europe’. Following WWII, the airport came under US Military control, used to airlift supplies to West Berlin during the Soviet Blockade. The Templehof later functioned as a commercial airport, finally closing in 2008. Subsequent to its closure, the site was protected as a National Monument, and the airfield gifted to the people of Berlin as a public park, the Tempelhofer Feld. 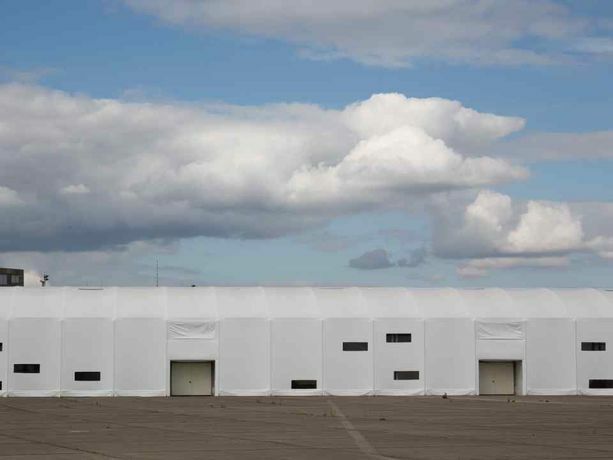 Since September 2015 one of the hangars at the terminal has been used as an emergency refugee shelter, currently housing approximately 800 asylum seekers as they wait to be granted refugee status. THF reflects on the situation of refugees within the historical and architectural context, whilst using photography to explore the cycle of reinterpretation of an architectural site across a distinct range of political and ideological agendas. The work, which forms the first chapter of a longer-term project, further develops McCoy’s focus on the relationship between architecture and photography in how we construct meaning, and the overlap between image making and place making.